New regional head aims to grow market share and bolster investment in local region through head count and presence. 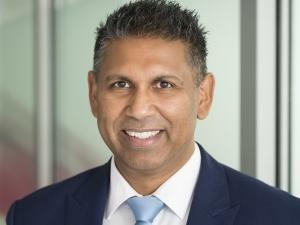 Trend Micro in Sub-Saharan Africa, a division of the global leader in cyber security solutions, is pleased to announce the appointment of Indi Siriniwasa as Vice President for the region at the company. Prior to joining the Sub-Saharan team, Siriniwasa worked as Managing Director of Enterprise & Government in the Australia and New Zealand region for the security vendor. His enthusiasm for managing people and projects, growing markets as well as the business of security, are welcomed by the region, which the company believes is sitting at the pinnacle of expansion as security continues to move up the business agenda. "We are delighted that Indi has joined us in Sub-Saharan Africa and we are certain that his dynamic energy will have a positive influence on both Trend Micro and the Southern African markets," says Dhanya Thakkar, Vice President and Managing Director of Trend Micro Africa and APAC. "In his role he will not only be tasked with the day-to-day management of the region, but we will rely on his knowledge of emerging markets and security at large, to assist with making Trend Micro the number one security vendor in Africa." Siriniwasa has been with Trend Micro for the past three years, working hard to bring about transformation in the departments he has worked in as well as educating the market on cyber security. He brings with him global security experience having worked in Australia, the UK and Japan. Prior to joining Trend Micro in 2015, Siriniwasa was with F-Secure Corporation where he served as Regional Director for Oceania and South East Asia. "Trend Micro is an exciting company with an exceptionally strong suite of security products. Our focus on research and development as well as our Labs ensure that we stay ahead of the security curve at all times. In addition, our ability to secure a business from the cloud, to the data centre and right down to the device is rivalled by no one and we feel it is time that we put a stake in the ground here in Africa, where we feel we can greatly assist businesses in securing themselves in an increasingly digital market," states Siriniwasa. "As part of our strategy we will be investing significantly in growing our head count, supporting the local channel, and identifying new opportunities for ourselves and our channel as we carve a niche for Trend Micro in the country," ends Siriniwasa. Trend Micro, a global leader in cyber security solutions, helps to make the world safe for exchanging digital information. Its innovative solutions for consumers, businesses and governments provide layered security for data centres, cloud environments, networks, and endpoints. All its products work together to seamlessly share threat intelligence and provide a connected threat defence with centralised visibility and investigation, enabling better, faster protection. With almost 6 000 employees in more than 50 countries and the world's most advanced global threat intelligence, Trend Micro enables organisations to secure their connected world. For more information, visit www.trendmicro.com.